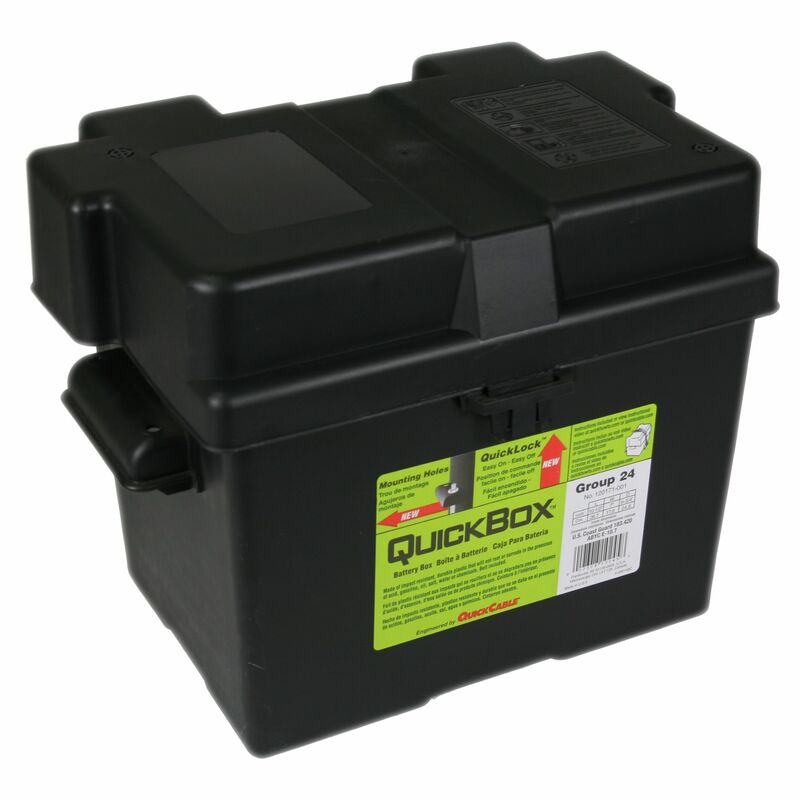 QuickCable's Standard QuickBox 120171-001 fits all 24 group sizes batteries, including spiral cell and high performance models. With features like the QuickLock cover, mounting holes in the handles, and materials tested to perform in all conditions, these are the battery boxes of choice. Do you own the 120171-001? Please, tell us what you think about it. It helps us provide you with better products. Please note that it may take up to 72 hours for your review to appear.